eccleston | Randomwhoness: a Doctor Who blog by Johnny Spandrell. Sampling stories in random order. Remember the celebrity historical? It used to be a thing. A real, live, it-can-be-our-second/third/fourth-episode kinda thing. Through it we met all sorts of famous dead people – Queen Victoria, Madame du Pompadour, William Shakespeare, Winston Churchill and Agatha Christie. And it starts here, with a tale of ghosts and walking cadavers with Charles Dickens in ye olde Cardiff. It was a shrewd move by showrunner Russell T Davies to include this episode in the revamped series’ first year. Those first three episodes of his version of the show are set in the present, the future and the past respectively; a shorthand statement of what the show’s about. A historical adventure tells a new audience that this series isn’t going to be all spaceships and laser beams every week. But the inclusion of a famous historical figure, plus some alien bad guys, gives that same audience a way into these old world adventures without them feeling like they’re being subjected to some snoozy old history lesson. It also gives the production personnel something on which they can show off their skills: period drama. Former script editor Andrew Cartmel first vocalised what had been staring viewers in the face for years – that the BBC could pull off a more convincing historical drama than a science fiction epic. Despite new Who‘s increased budget, there’s still some truth in this, plus time and money saved in recreating familiar historical sets and costumes rather than dreaming them up anew. Not to mention that a well known star playing a well known historical figure makes for great publicity. Writer Mark Gatiss sets the template for the celebrity historical in this macabre episode. He chooses a well known historical figure, one with an inkling for the the supernatural. Charles Dickens (Simon Callow) might be a daunting figure for viewers (me included) who have never finished any of his mighty tomes (I know, I know! I’ll get to them! Right after The Doctor Who Cookbook) but he proves a prudent choice, with the Doctor (an energized Christopher Eccleston) and Rose (an energetic Billie Piper) turning up just at a point of personal existential crisis. He teams up with the our heroes, becoming a de factor companion and along the way, his life is changed for the better by the experience. It’s a pattern which holds more or less up until and including Vincent and the Doctor. Then things change. With The Impossible Astronaut/Day of the Moon, where Richard Nixon, who under the old template for celebrity historicals might have been expected to be the episode’s focus, but now becomes just a notable supporting character. In their respective episodes, Queens Nefertiti of Egypt and Elizabeth I of England are similarly exotic side dishes, not the main meal. By the time we get to Peter Capaldi’s era, the celebrity historical has been dropped altogether. Clara makes do with sly references to her flirty adventures with Jane Austen. That name dropping’s enough; we don’t need to see the Doctor meet another historical British writer. We’ve been there done that. So now the celebrity historical, once a mainstay of any Doctor Who season is out of vogue. No doubt famous people from history will continue to turn up, but more episodes showcasing any given figure of history seems unlikely. It’s a shame, because having our heroes rub shoulders with someone we know from history is one of those uniquely Doctor Who ideas. And it’s been with the show since its earliest years, where we met Marco Polo, Nero, Richard I and Doc Holliday. If you squint, it even stays true to the show’s original remit to be slightly educational. The Unquiet Dead, for instance, manages to trickle out an abbreviated biography of Dickens and his work. Still, it’s fun to fill in future fantasy seasons with celebrity historicals which still one day might come to pass. Oscar Wilde’s episode would riff on The Picture of Dorian Gray. That other OW, Orson Wells already has one in Big Finish’s universe – by Mark Gatiss, no less – which could be adapted. Sylvester McCoy’s suggestion of the Doctor meeting Richard III could finally come to fruition. What about JFK, given his and the show’s association with November 1963? Galileo? Da Vinci? The Beatles? Surely we can’t let Timelash be the definitive Doctor Who appearance by HG Wells. Nor let Einstein be claimed by the ignominious Time and the Rani. As for the story itself, it’s pleasingly creepy, with enough black humour in it to recall more than a few camp, schlocky horror films. Its gleefully brash use of walking cadavers as monsters is stronger stuff than the show eventual settled into; to this day Mrs Spandrell can’t get past the opening pre-credit sequence with old Mrs Peace (Jennifer Hill) stumbling through the streets, howling. It strays into interesting moral territory when the Doctor finds virtue in the Gelth’s alleged plan to inhabit the bodies of human dead to save their species, and Rose is opposed to the idea. But the last minute u-turn of the Gelth into treacherous invaders neutralizes that debate which might have lead the story to something other than a “it’s time to stop the monsters now” kind of ending. Truth be told, as good as The Unquiet Dead is, nearly all its tricks – be they ghost stories, Victoriana or zombified monsters – have been done better by later stories. Its lasting claim to fame is showing us how these celebrity historicals work and inventing a new sub-genre for 21st century Who. If they really have gone forever, then that’s its legacy – creating a Who specific subset right up there with ‘base under siege’, ‘pseudo-historical’ and ‘multi-Doctor’. But if they ever come back, I’ve still got my list of candidates: Michelangelo, Louis Pasteur, Elvis, even Mrs Malaprop… sorry, that’s Time and the Rani again. It sneaks in everywhere! LINK TO Into the Dalek: uncertainty about whether the monsters are good or evil. 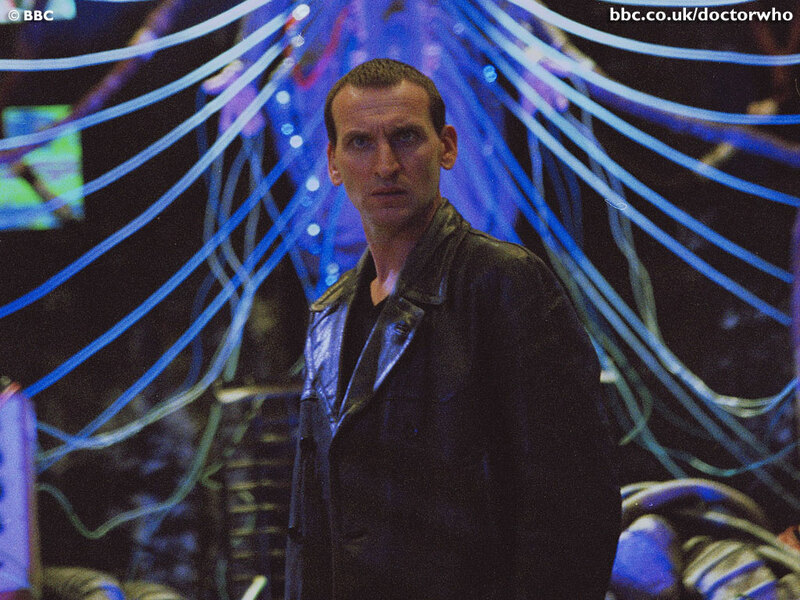 There’s something about rewatching Christopher Eccleston’s episodes of Doctor Who which takes me right back to 2005. No other series of the show has so potent a transporting effect. I think, as I’ve alluded to before, watching the show be so successfully revived in 2005 was a unique thrill. It was a great time to be a fan. It was a time for rejoicing. But just before the broadcast of the second new series episode, The End of the World, we got our first sense of there being trouble in paradise. The BBC announced that Eccleston would be leaving the series after its first year. Then it was revealed that the BBC’s statement was falsely attributed to Eccleston, and that they had broken an agreement to stay quiet on the length of his tenure. All in all, it seemed that this happy show had an unhappy leading man. Whatever the circumstances, it’s easy to sympathise with Eccleston. Many of us have had difficult, unpleasant or simply bad jobs which we’ve left which various degrees of acrimony. Few of us will be asked time and time again about the circumstances of those jobs years after we’ve left them. Even fewer of us will have to do so in public fora. 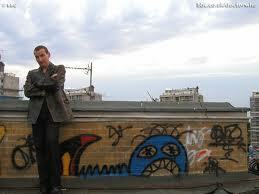 And Eccleston probably wants to talk about his more recent work and leave the past behind. Sadly, public interest in Doctor Who just isn’t going to let him. Doctor Who fans are used to reticence from some of those who worked to the show to discuss it publicly. Tom Baker, Janet Fielding, Paul McGann and Peter Purves were among those who had long periods where they wouldn’t talk about the show. Script editors Andrew Cartmel and Eric Saward stayed similarly quiet for a long time. Eventually, they relented and opened up about their time on the show, often addressing the difficult circumstances which prevented them from talking freely about it before. And for long term fans, Eccleston’s silence may feel like one of these temporary hiatuses, which will hopefully end one day and he’ll embrace discussing the show. It may not, but it seems to me like he’s going to be dogged by questions about his departure at every launch and talk and press conference until he opens up more fully. Seeking out an interviewer with a sober, balanced approach – probably from Doctor Who Magazine, I suspect – and telling his story in a controlled manner, may well be the only way to stem the tide. I agree with him about “the tortured stuff”. He’s famous for it, he could be tortured for England. Of course he’s going to do that well. But I think the lighter side of his Doctor is also on display and Eccleston manages these nicely. In The End of the World, there’s the moment where he gives the various alien thrillseekers gathered to watch Earth’s fiery demise the gift of air from his lungs. There’s also when he grooves out to Soft Cell and when he warns Rose about the size of her phone bill. I’d say when he gets a comic moment to play, he plays it adeptly. And throughout this first year, he’ll find various opportunities to crack that goofy grin and go for the laugh. Personally I’ve always liked the ‘passing the port’ routine in World War Three. And he’s funny chasing down Margaret Slitheen in Boom Town. And, as might be expected in a Steven Moffat script, he gets plenty of smart one liners in The Empty Child/The Doctor Dances. If he’s not as fed as many of these funny moments, it could be that the Doctor’s angst is one of this season’s key themes. What would have happened, I wonder, if he’d stayed for another year? Might there have been more of a chance to build on his Doctor’s sense of humour? 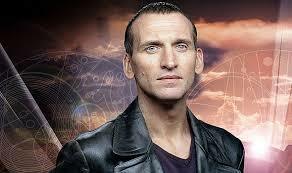 For me though, it’s not the mix of comedy and gravitas which makes the ninth Doctor stand out. All the Doctors have those qualities to various extents. What marks Eccleston’s Doctor as unique is his variation from the Doctorly norm. Think of the Doctors who followed him, Tennant and Smith. Each are much more traditionally Doctorly: charming, witty, leisurely charismatic. Eccleston though is the very opposite of frock coated familiarity. His leather jacket, short cropped hair, Northern accented Doctor feels like something new and dangerous. He fits no standard Doctorly type. He talks and dresses like a human but his opinions and reactions are alien. He’s like no Doctor before or since. It’s this uniqueness which leaves us wanting more than one season of this Doctor, not how he played the comedy or the drama. And it’s also why we’d love to know more about why Eccleston didn’t want to stay on our favourite show. Us fans, we’re like nervous hosts and Doctor Who is like a grand house party we’re throwing. We hate to think anyone’s not having a good time, let alone our a-list guests. “Everything has its time and everything dies,” the Doctor says in this episode. This proves as true for this incarnation as for the stretched canvas which is Lady Cassandra (Zoe Wanamaker) or for the doomed Earth itself. One day perhaps, Eccleston might tell us why. ADVENTURES IN SUBTITLING: The Adherents of the Repeated Meme and renamed “the Adherents of the Repeated Mean”. Which makes no sense of course when the Doctor says a repeated meme is just an idea. And the Moxx of Balhoon’s Bad Wolf scenario becomes a ‘bad move scenario’. Which, given this phrase’s importance in Series One, is unfortunate. SACRIFICIAL BLAM! Or rather burn, when Jabe the Tree (Yasmin Bannerman) catches light. LINK to Black Orchid. Both feature “Ladies”: Cranleigh and Cassandra. NEXT TIME… Don’t turn your back, don’t look away and don’t Blink.